Paper citation: Gerlitz, Carolin, and Anne Helmond. 2013. 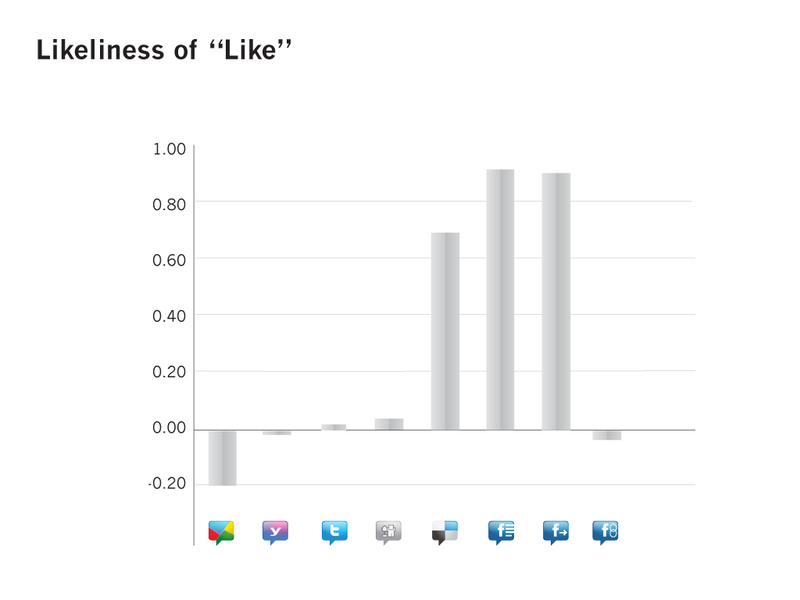 The Like Economy: Social Buttons and the Data-Intensive Web. New Media & Society 15 (8): 134865. doi:10.1177/1461444812472322. http://nms.sagepub.com/content/15/8/1348.abstract . Digital methods research has primarily focused on the link, the website, spheres and the search engine as important methodological tools for engagement. As we have seen since the emergence of 'web 2.0' many of the categories and currencies that helped to make sense of the web, by ranking and recommending, are collapsing. How well do our current research methods that do not explicitly account for the intricacies introduced by social networking activities hold up? How do we account for and accurately capture likes, shares and comments on social networking sites? 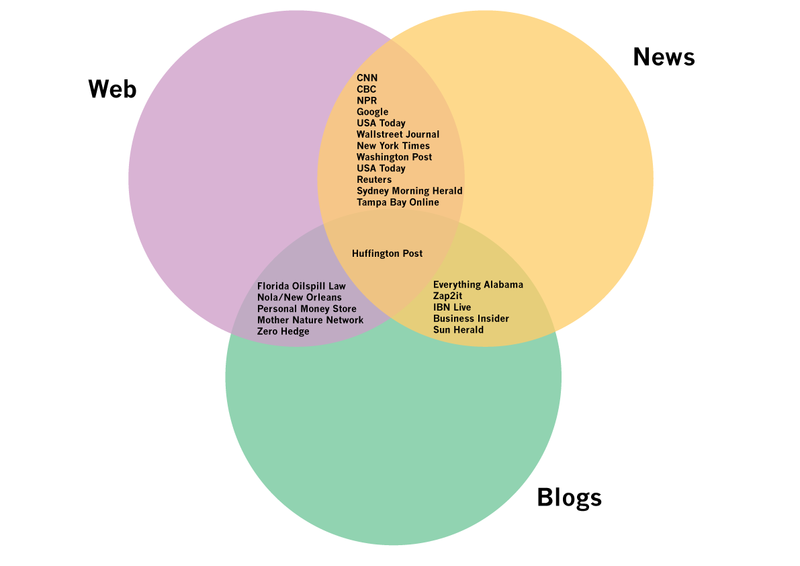 Do these activities provide a new currency for the web? 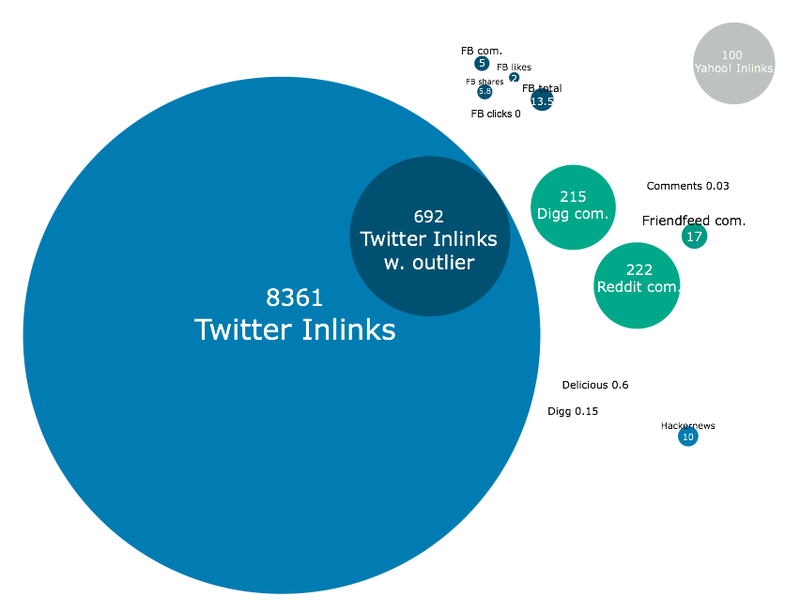 Do social media activities create a web currency outside of the link? 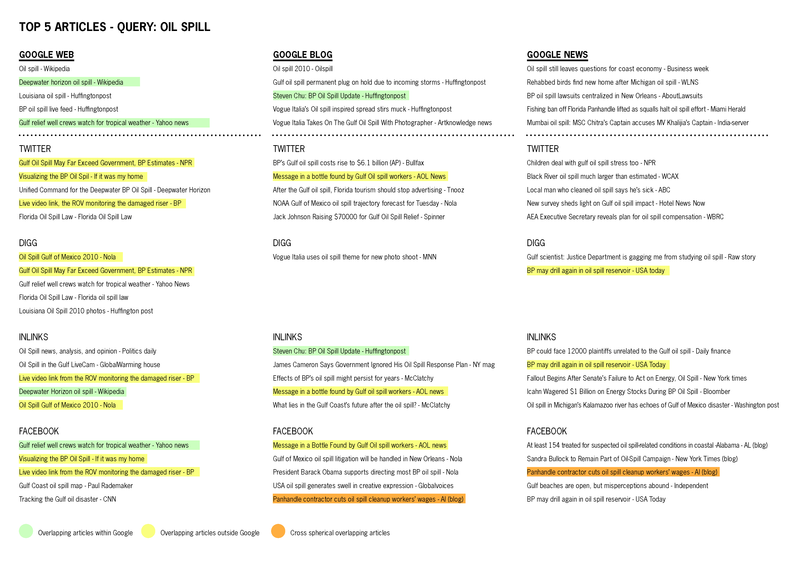 Search for the top 100 results for oil spill in Google Web, Google News and Google Blogs. In-Links to each of the sites from web: Search for the (number of) inlinks to the top 100 using Yahoo! Site Explorer, click on inlinks. 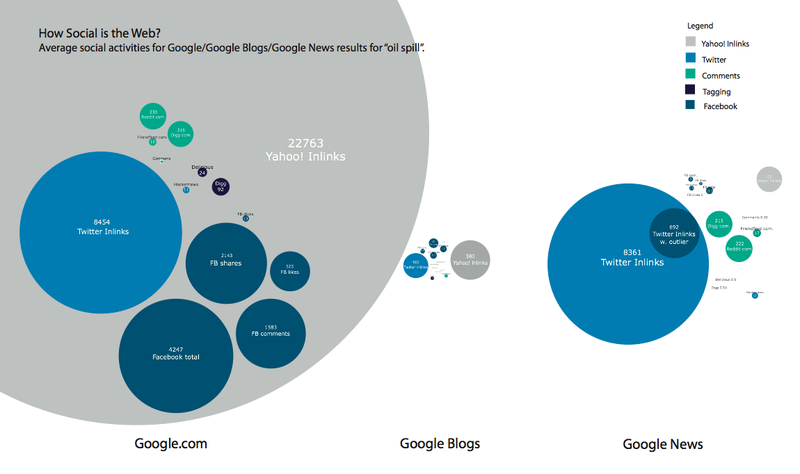 Are the top sites according to Google Web, Google News and Google Blogs correlated to social media activities on these sites? 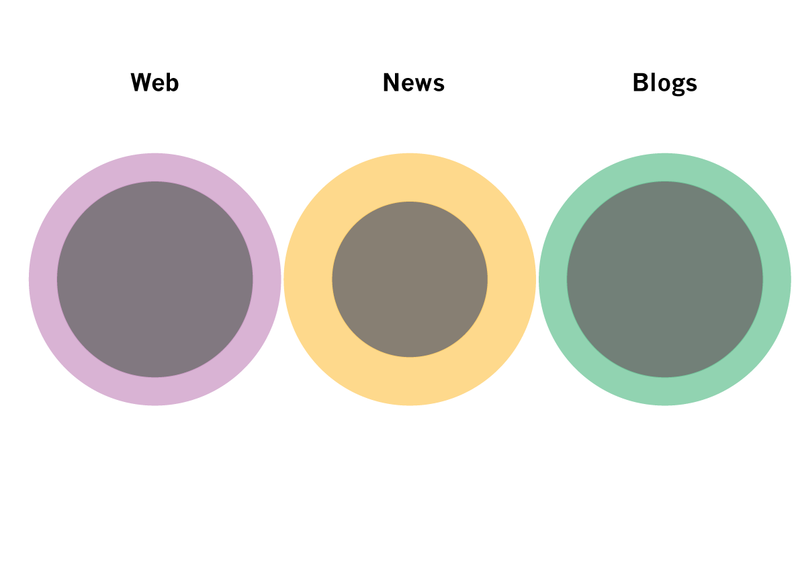 How social are the spheres? Does categorizing spheres even make sense? 3. 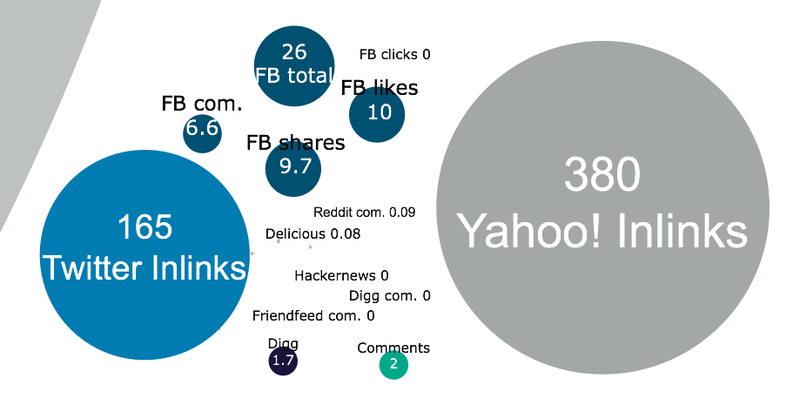 What types of sites are more likely to be liked, shared and commented on? Does this have anything to do with the presence of buttons to easily share sites? 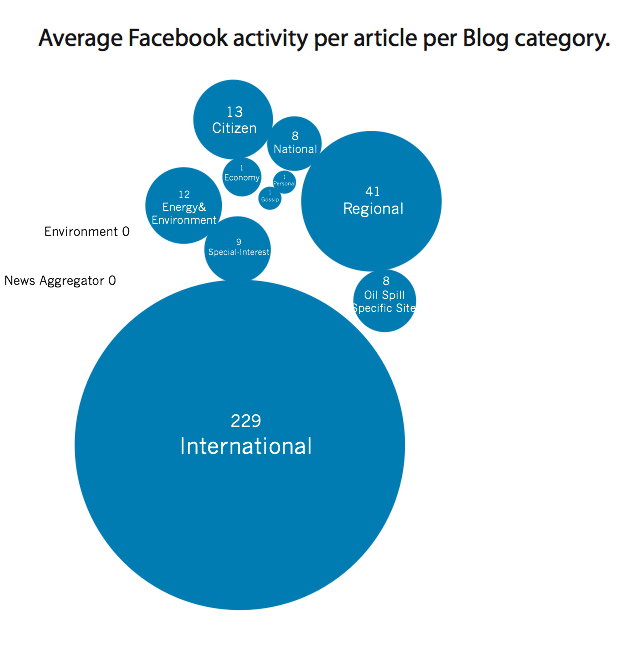 Which Blog categories do generate the most activities on Facebook? 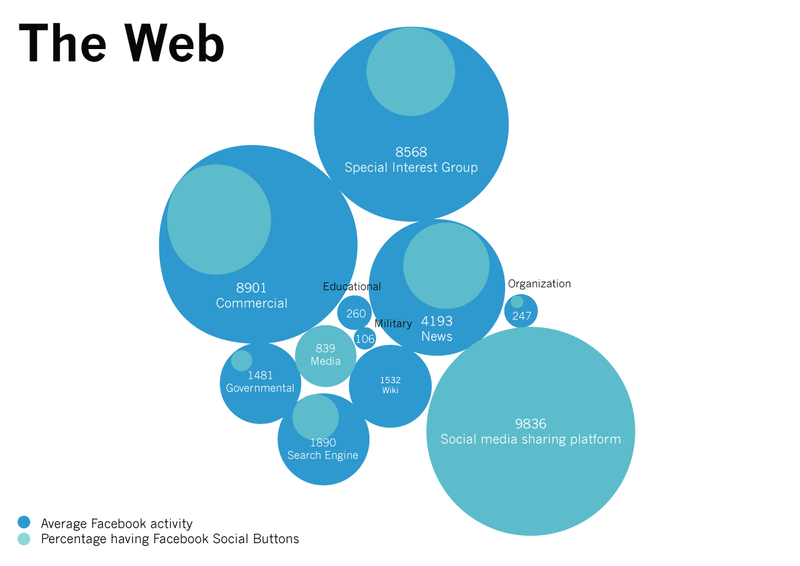 Which news categories do generate the most likes and shares on Facebook? How does the activity of "liking" an article correlate with other social activities or with the position of an article in the Google ranking.